Those men care more about maintaining the status quo than about doing what’s right for their constituency. Exhausting as it is, we will have to put up a strong resistance every election until there is more balance in our government. Kudos to Ms. Ford for having the courage to stand up for those who have no voice…I would add that to the list of things to be thankful for…that there are still people who will speak out, even though it’s easier to remain silent. You are absolutely correct. I’m incredibly thankful for Dr. Ford’s courage and all those who voice their traumas in hope of improving society. Thank you much for taking time to share your thoughts. When the judiciary committee is so over-populated by elderly, white, male, Trump supporters, it is impossible for them to actually work for justice. 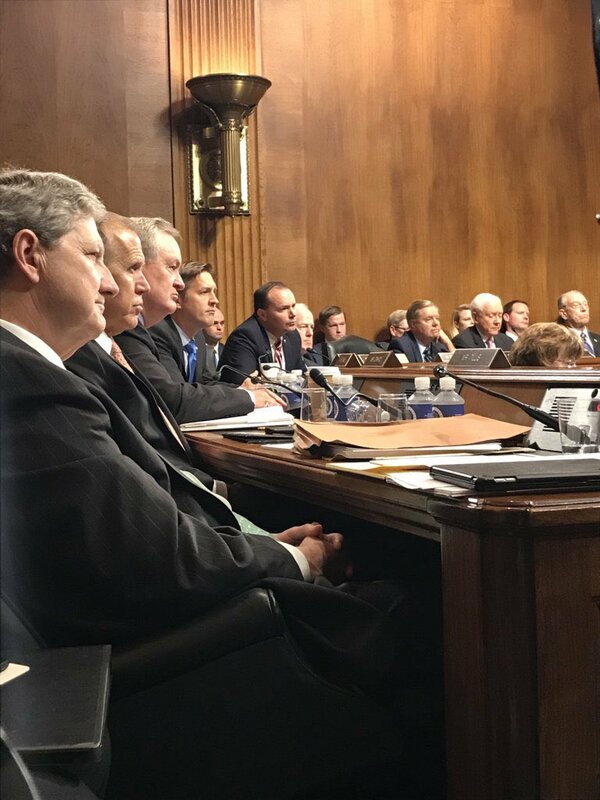 What I saw in these hearings were politicians working for themselves and their own interests, a supreme court candidate in denial about a drinking problem that clouds his memory and his credibility, and a courageous woman survivor who was re-victimized by all of them. In other words, same old, same old. You’re spot-on in your observations, Cindy. The re-victimization was the most painful of all and we all owe her an enormous debt for putting herself in that position. Thank you for taking the time to share your thoughts with me and I wish you a peaceful evening.